Please note that in what follows, I am using the word “lamp” to refer to the glass-covered thing that emits light. The layman’s term might be “bulb”, but this is not the correct trade term. As an old electrician told me years ago, bulbs are for growing and lamps are for lighting. My views on light-emitting diode (LED) lamps are similar to what my views were on compact fluorescent lamps (CFLs, or “low energy lamps”) some 15 years ago. At that time CFLs cost around £10 each, so buying a CFL to replace an existing incandescent lamp was unlikely to pay for itself in terms of saved energy. Since then, electricity has tripled in price, and CFLs have become much cheaper – you can bulk-buy them for £2 each, or sometimes cheaper in supermarket promotions. Many readers got given free CFLs by their energy providers. So if you have CFLs lying around the house, then use them, and when an old incandescent lamp blows, it will be worth replacing it with a cheap CFL, especially if you are on an Economy 7 tariff, and now paying an eye-watering 19 pence per unit on the day-rate. At that rate, the saving between a traditional 60W incandescent lamp and its 15W CFL equivalent, used for say 1,000 hours per year, would work out at 45kWh or units, or some £8.50. On a standard tariff of 14p per unit, the saving would be around £6.30 a year. 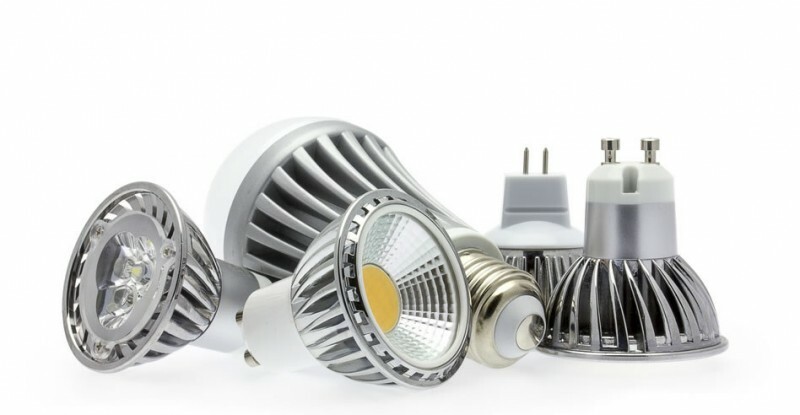 So, are LED Bulbs worth buying? LED lamps, on the other hand, are still very expensive, although they are gradually getting cheaper. I recently bought a basket-full in a supermarket promotion for £7 each. I don’t expect them to save me any money, but some readers have reported problems and premature failure, so I thought I’d give them a try. For standard bayonet-cap or Edison-screw fittings, I can’t see much advantage over CFLs. I replaced some 6W CFL wall-light “candle” lamps, for example, with 5W LEDs. The brightness appears to be roughly the same – although the LEDs do seem to reach full brightness straight away, with no annoying warm-up period. Where the LED lamps do seem to score is in replacing my 240v kitchen halogen downlights (GU10 fittings) – 5W each instead of 50W. The LEDs are the same size and shape as the halogens, and there is no CFL equivalent. The same applies to my 12v downlighters in the lounge. Both were simple to exchange, give a good equivalent light intensity, and seem to work fine with the existing transformers and fittings.